We started as a reseller - We know and offer what you need ! All of our multiple domain hosting and web reseller hosting packages are backed up by 24/7 technical support. Our in-house technical team works around the clock troubleshooting and addressing potential problems before they become real issues. Sibername offers the most comprehensive business reseller hosting in the industry. We use only the latest versions of Web Host Manager and CPanel, so you can manage your site easily. Our staff consists of trained experts in both platforms so we are able to support these applications effortlessly. We even offer business reseller hosting for hosting companies in need of additional server space, and work extensively with Canadian web hosting resellers looking to establish their own web reseller hosting business. 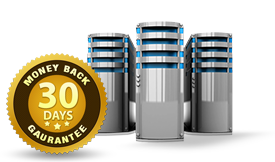 All our web hosting plans come with a 30-day Money Back Guarantee.